Levis is a privately owned American brand that deals in the manufacture and selling of Denim Jeans. Launched in the year 1873, the brand has been successful in capturing the imagination and attention of the consumers throughout the world. This international company has helped in developing existing markets, introducing new markets and in exploiting the textile market to its advantage. The brand has become synonymous with qualitative products. The brand Levis has spread its network to One hundred and ten countries that includes more than fifty five thousand retail outlets. The jeans of the Levis brand are authentic and original in terms of quality, color and designs. The styling involved revolves around the current fashions and comfortable apparels. The best quality materials are used so that the customer finds satisfaction in the products. The reason for the success of Levis jeans is mainly the satisfied consumers. It takes nearly thirty-three steps and undergoes complicated processes in the production of every apparel. In order to make them durable the products have double stitched inner seams with five different sized pockets. The label in leather is one of its distinctive features and the small red colored tab is a mark of authentic Levis jeans. The jeans can be purchased in any size and color. The jeansare divided further into sub brands like Levis Strauss Signature, Dockers and Levis. The brand has redefined the concept of jeans to designer jeans. The Dockers leans towards casual jeans especially in the Khaki category. The brand has also launched the feminine interpretation of the apparel. This line consists of casual pants, tops and dresses. The Levis-Strauss Signature assures latest fashion as well as very high qualitative product like the denim jeans and jackets. They have a wide range of merchandises including the quintessential classics and premium collections. Besides jeans, the brand also deals in dress pants, jeans-related pants, jackets and accessories like wallets, sunglasses, belts, ladies bags and shoes. The products are available for men, women and children. 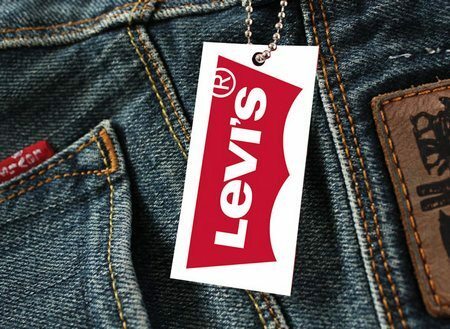 Levis is a global entity that is divided geographically into three divisions namely Levi-Strauss America, Levi-Strauss Africa, Middle East and Europe, Levis-Strauss Asia-Pacific. The company started its business from the city of San Francisco and then later moved to various other parts like Australia, China, India, Japan, Singapore and Sri Lanka. In order to make its product a household name the company realized that it must make its product visible and easily accessible. Therefore, the brand organized a well-controlled and systematized distribution channel. The first part of the scheme was to establish a factory for the manufacturing of the goods. Later the goods were sent to the company suppliers, wholesalers and the retailers. At last, it was dispatched to the market where consumers could easily make their purchases. As the company is famous for its apparels, its market strategy includes exclusive distribution policy. In order to cover a huge market it decided to give its franchisee to dealers who were interested in becoming a part of this outfit. Special warehouses have been hired for safekeeping of the stocks. Its warehouses are established in every country where it has an outlet so that fast distribution can take place. The company has upgraded all its distributive centers and increased the sales channel because they wanted to move faster than their rivals did in this competitive market. 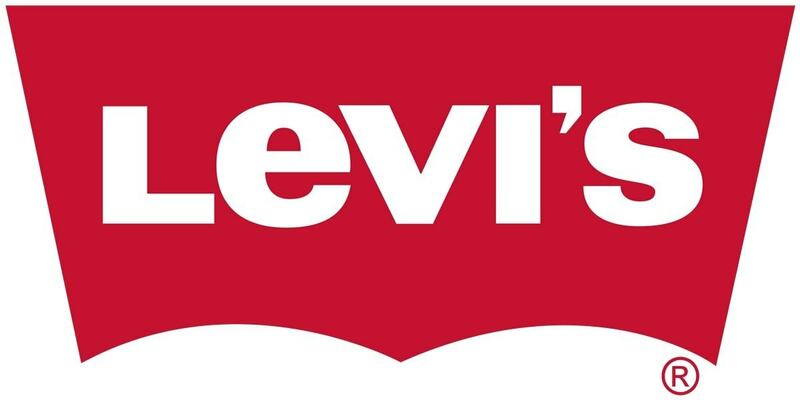 At present Levis Jeans can be purchased from any good retail outlet as well as from the various shopping malls. Internet has become one of the major selling options for the company. It has an official website where purchasing the product is an easy process as the consumers can go through the various color and designs at their own convenience. The home delivery option through this medium is also a bonus for the busy consumers. The pricing strategy of every company is very important, as the customers want the best goods at the lowest possible prices. Levis has kept a price discrimination policy for all its products that are available in different countries. The selling price varies in each country because of its costing in the local atmosphere and because of various political and social influences. As Levis is an established brand name, the company has kept the prices fixed for every region. The company does not allow flexibility in its prices to maintain its image of exclusivity. Therefore, the products are sold at the listed price that has already being fixed by the head office. Their pricing policy is influenced not by the competitors but by various other factors like costing, market affordability and demand for the product. The company does not compromise with the quality or with the prices of its products because it is confident of its loyal consumers. Levis has adopted a cool and trendy promotional strategy for marketing their products. In order to increase the visibility of its products the company has taken the help of active advertisement. It has gone with the concept of off- beat commercials thatare shown in various television channels, in newspapers, billboards and fashion magazines. The company has been introducing new products at regular intervals like the reversible jeans that have helped them in gaining continuous limelight. Levis has a comprehensive and effective strategy that includes the participation of major celebrities. In India, it has roped in Priyanka Chopra, Deepika Padukone and Akshay Kumar as its brand ambassadors. In Philippines, they have appointed six brand ambassadors of the product including Maxine Magolona, Laulen Young, Shamcey Supsup and Venus Raj. 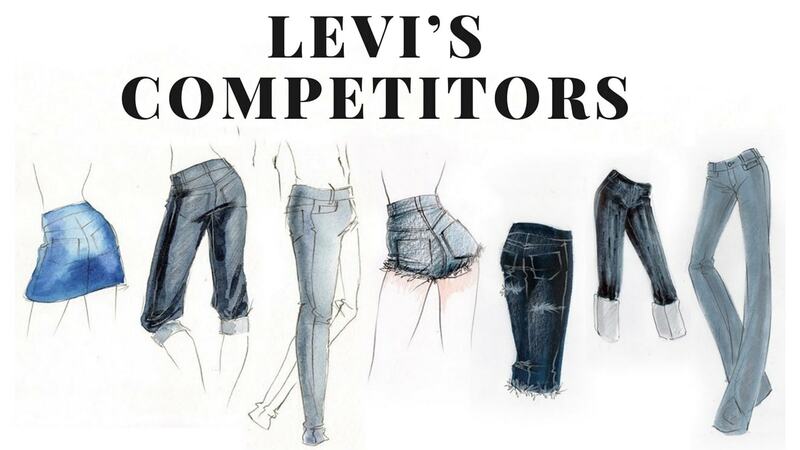 Levis has been using the method of competitive advertising to promote its products. Now days the brand has been going for eye catching and innovative ideas that will leave an impact and an everlasting impression on the customer. One such ad showed Akshay Kumar opening his jeans partially in a promotional activity at the ramp. This controversial ad became an instant hit while creating maximum visibility for the product. Internet has also become a good promotional ground for the Levis products as the consumers find it easy to go through the various available portals.